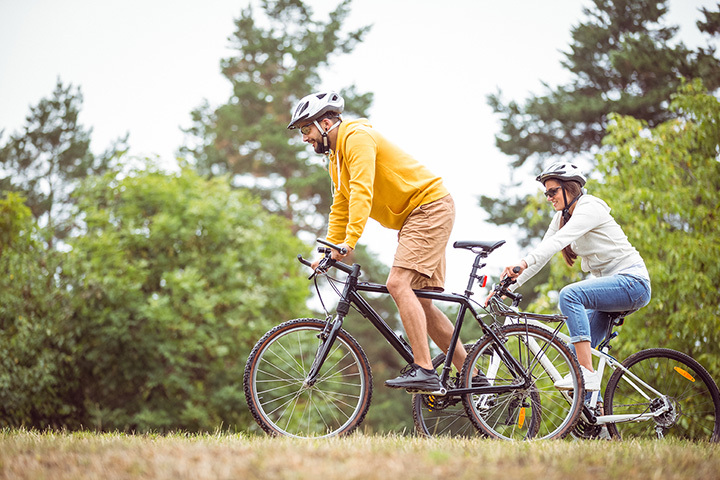 Whether you commute to work by bike, enjoy leisurely weekend rides, or are a serious cyclist, New Jersey offers bike shops to cover all your needs. Many shops go further than simply getting you a new set of wheels. The trained mechanics on staff can fix up your bike and may organize clubs or group rides. If you have a fast-growing child or are looking to upgrade yourself, several of these excellent bike shops in New Jersey also offer a great trade in program, so you can save money and keep biking. Here are our favorites. The couple who owns Bike Hub have children, so this bike shop is very family-oriented. If the price of diapers has got you down, the Bike Hub sells used and vintage bikes at more affordable prices, so you can ultimately save money by cycling to work. On both their website and Facebook page, you can find numerous events that promote cycling in the community including group rides on most Saturdays. If you purchase a bike from Cycle Craft, you will be treated to an abundance of excellent offers, including lifetime maintenance, a 30-day test ride guarantee, and trade ins (great for kids), to accompany your new wheels. When testing out bikes, they also offer a fitting service and if just in the area for a short time, they have bike rentals. If you are a biking enthusiast, Cycle Craft also has a biking club that is currently accepting new members. New members receive store discounts, invitations to activities, trainings, and a jersey. The staff at the Bicycle Store are passionate about cycling and spend ample time with each customer to help him or her find the bike or biking gear that is most suitable to their skill level and physical ability. In addition to selling gear and an online shop, they offer full servicing and repair for bikes. Do note that the Bicycle Store is closed on Mondays and Wednesdays. Brielle Cyclery has been providing the area with bikes and bike services since 1970. This well-established brick and mortar also has an online shop for convenience. If your bike happens to be getting serviced by Brielle or if you are waiting on a warranty claim, customers can avail a loaner bike. Brielle Cyclery also offers a bike trade in service, as long as your bike is from at least 2000. Find locations in Brielle, Middletown, and Asbury Park. Open for more than 50 years, Burlington County Bikes has definitely earned a reputation as an excellent locally-owned cycling shop. If your bike needs a tune up or some re-building, Burlington County Bikes is an excellent store to take it to as the mechanics are trained to handle a variety of bicycle models, from kid to adult bikes. In store, you’ll find brands such as SE Bikes, Cat Eye, and Kestrel. At Bike King, you’ll find numerous high-quality cycling brands such as Fox, Shimano, Mavic, Thule, Cat Eye, and more. They also carry accessories such as baskets, bike racks, and parts. Bike King also offers a lifetime of free adjustments and safety checks as well as a price match so you are guaranteed to save money. If you are new to the area or simply looking for new trails, their helpful website has clear descriptions of several off-road biking routes. This long-running bike shop is aimed at locals and vacationers alike, offering both bike sales and rentals. Rentals are great for cruising down the boardwalk and listed prices are reasonable at AAAA Bike Shop. For purchasing a bike, they carry a large selection of road, hybrid, BMX, and children’s bikes. They also stock apparel, helmets for adults and children, baby seats, and other biking accessories. Tuckahoe Bike Shop has several locations throughout Cape May county for your convenience. Stop at one of Tuckahoe Bike Shop’s sites to purchase bikes, clothing, parts, or accessories such as helmets and seat bags. Tuckahoe also offers group rides on Saturday mornings, with a variety of different pace groups that target all skill levels. For some serious exercise off the road, they also offer spin classes every day of the week. Shop for off-road cycles and bikes to cruise around town including brands such as Kona, Santa Cruz, Yeti, Fuji, Electra, and more. They also organize group rides and other events, which you can learn about both on their Facebook page and by subscribing to their newsletter. They also offer a selection of bikes for kids. If you are looking for simple or major servicing, Bicycle Rack can handle it with their numerous offerings of service and installation packages. If you are looking to purchase a new bike, Bicycle Rack sells Bianchi, Biria, Haro, Jamis, Dahon, and more as well as bike accessories. Bicycle Rack also hosts an annual bike swap meet.